PARIS -- When Nicolas Sarkozy took office last May, everyone expected him to be an active president. Known for his relentless pace and tireless work ethic, Sarkozy had promised to reinvigorate France's foreign policy, which had suffered from an accumulation of failure and fatigue under his predecessor, Jacques Chirac. 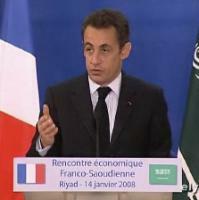 To that end, Sarkozy has not disappointed. In a little over eight months as president, he has visited 25 countries on four continents, strengthening historic bonds (America), nurturing new ones (China, India), and above all raising France's profile around the world.